Tom Hardy has shared some brand new photos from the set of his upcoming film, and its safe to say he looks totally different. The movie Fonzo sees Tom portray notorious mobster Al Capone, and it looks like the star is already in full-promotional mode as hes given fans a glimpse of the extent of his transformation. Taking to Instagram, the 40-year-old – who had to shave his head for the role – first shared a snap showing his wig of receding hair as well his dramatically aged face. In another photo, the Legend actor can be seen sitting down with his make-up team ahead of filming as they get ready to undergo the lengthy process of using prosthetics to turn him into Capone. And fans were treated to a full length snap of the Peaky Blinders star, as he posted a third photo all dressed up as his character. Wearing a khaki pair of trousers, matching jacket and pair of dark sunglasses, we barely recognise Tom as he looks off into the distance with an angry pout on his face. In a final moody snap shared on Thursday morning, Tom can be seen in an angry rage once again while he scrunches his face close up to the camera. Creepy, right? Naturally, Toms 1.5million followers absolutely loved the sneak-peek snaps and they racked up more than 350k likes between them. The photos come after it was announced last month that Tom would be starring in the new film which focuses on the final years of Al Capones life. Directed by Josh Trank, it follows the mobster as he suffers from dementia and “his past becomes present as harrowing memories of his violent and brutal origins melt into his waking life”. While the movie is yet to have a release date, if Toms committment to the role is anything to go by, were guessing Fonzo is going to be amazing. The post Wow! 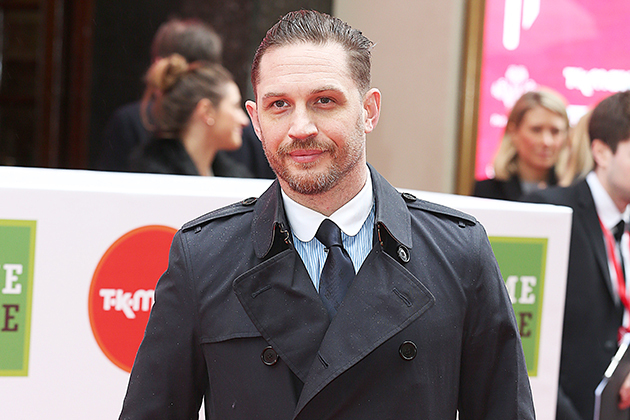 Tom Hardy is totally unrecognisable in shock transformation for new Al Capone film appeared first on Woman Magazine.